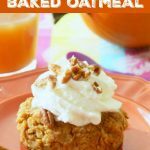 Pumpkin Pie Baked Oatmeal is reminiscent of a classic pumpkin pie but in breakfast form. I’m not a fan of pumpkin pie. And I’m really not much a fan of baked oatmeal. 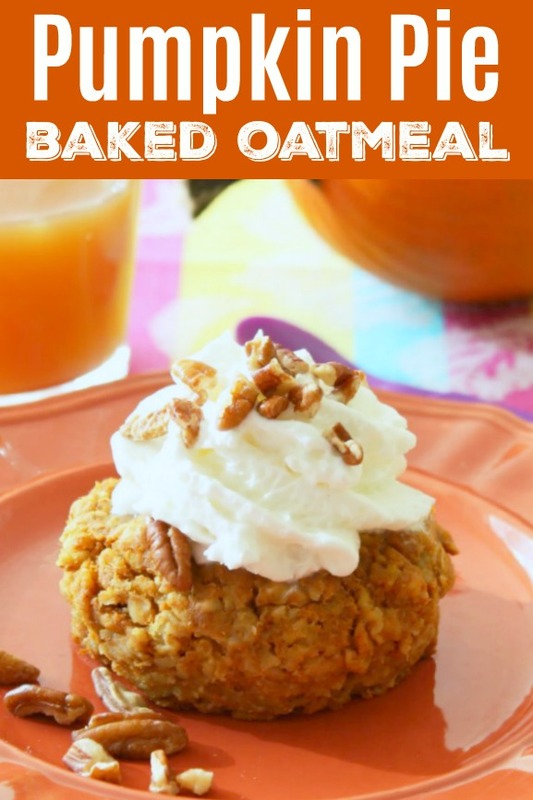 So it’s super weird that I love this Pumpkin Pie Baked Oatmeal so much. Something about the combination of ingredients works for me though, so it’s a keeper. I’ve been trying to clean up my website to make it more user friendly. So I’ve been going back to really old recipes that no one views to delete them. I almost deleted this recipe simply because I only have one photo of it. But I love this recipe too much to delete it from my blog. One of these days I’ll get around to adding some more pictures to do it justice. I top my oatmeal with roasted and salted pecans from Trader Joe’s and a little whipped cream. It’s a totally indulgent breakfast. 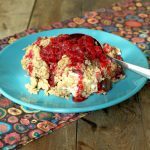 This oatmeal keeps well in the refrigerator to be reheated as needed – for up to three days. As noted in the recipe, use pure pumpkin, not pumpkin pie filling and old-fashioned (or rolled) oats, not instant oats. Preheat the oven to 375 degrees. In a large bowl, whisk together the pumpkin purée, brown sugar, maple syrup, eggs, vanilla, pumpkin pie spice, salt, and baking powder until smooth. Whisk in the milk. Mix the rolled oats into the pumpkin mixture. Coat an 8×8 (or similar sized) baking dish with non-stick spray. Pour in the pumpkin oat mixture. Bake in the preheated oven for 45 minutes, or until the center no longer looks wet and the edges are lightly golden brown. Serve hot right out of the oven or refrigerate until ready to serve. Can be reheated in the microwave. Top with toasted pecans and whipped cream if desired. I made this today and it turned out just wonderful! Everyone loved it, especially my 15-month old little girl. =) Thanks!